Jews celebrate the Passover (Hebrew Pesach) from the 15th to 22nd of the Hebrew month of Nissan - this year 30 March to 7 April. The theme is of redemption. It is a holy time, where the Lord is celebrated as the great liberator of humanity. Synagogue services include special readings, psalms of praise and thanksgiving, and a service of remembrance. Because of space constraints, this article focuses on the first night: this was the evening on which Christ celebrated the Last Supper (Matthew 26:17-30). 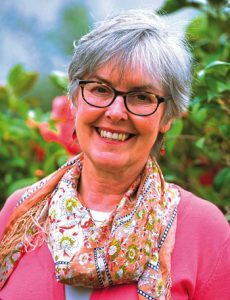 Understanding the Passover helps to expand our knowledge of Christ’s life and of the days before his Crucifixion. The Book of Exodus records how the Lord sent Moses to Pharaoh to ask him to release the Israelites from slavery so they could serve Him. Pharaoh continued to refuse, so the Lord inflicted ten plagues upon Egypt. The tenth plague was the death of first-born children. The Lord spared the Israelites, ‘passing over’ their homes. Pharaoh’s resistance was broken and he chased the Israelites from Egypt. Originally, adult males went to the Temple in Jerusalem to offer sacrifices and bask in the divine presence. After the Second Temple’s destruction, the ritual meal, called the seder (observed on the first two nights), became the Passover focus. Children are encouraged to question the traditions: this way, their learning is cemented for future generations. 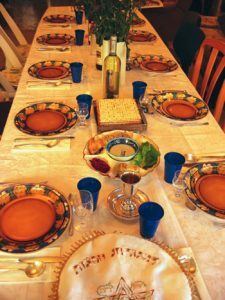 Seder is eaten reclining rather than sitting, to celebrate freedom. Three plates are set out. 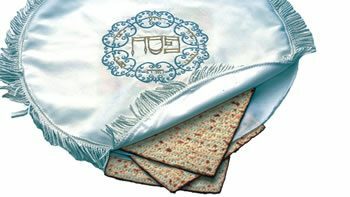 On one, three pieces of unleavened bread, matzah, are placed in a three-pocketed cloth: one pocket for the Cohens (priests), one for the Levites, and one for everyone else. 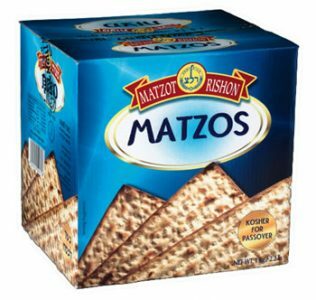 Flat and unflavoured, the matzah embodies humility. It enables those who consume it to tap into the miraculous well of divine energy we all have within our souls. On the second plate, food is arranged: a shank bone (representing the Paschal lamb) reminds people of the lambs killed for the first Passover. An egg symbolises new life, as does a green vegetable, usually parsley or celery. Haroseth , a paste made of fruit, nuts and wine, symbolises the mortar the Israelites used to build the pyramids. Maror, bitter herbs, represent the bitterness of slavery. The third plate has vinegar or salt water on it, symbolising the tears of slavery. The seder ritual involves hand washing, blessing food (with a separate blessing for the ritually broken matzah – half is hidden for children to find after the meal and is eaten with dessert). The Passover story is told, the festive meal eaten, grace after the meal is said and the Hallel (Psalms 113–118) is recited. Four cups of wine are shared, with two consumed before the meal and the others afterwards. The first represents the Israelites’ salvation from hard labour, which began with the plagues. The second represents their salvation from servitude – the departure for Egypt. The third represents the Red Sea dividing and the Israelites’ escape from the pursuing Egyptians, and the fourth, the new nation at Sinai. Thanks to Janet Salek and Ernie Rosenthal from the Wellington Jewish Community Centre for sharing their time and knowledge and Rabbi Yitzchak Mizrahi for his oversight.